Russell C. Weigel, III, Esq. 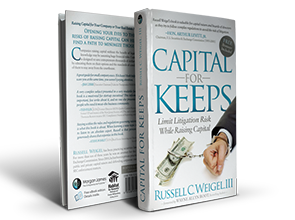 Raising Capital for a Company or a Real Estate Deal? provide a path through the regulatory minefield. Copyright (c) 2017. Russell C. Weigel, III. All Rights Reserved.